A recent FBI public service announcement alert warns that law enforcement personnel and public officials may be at an increased risk of cyber-attacks. These attacks can be precipitated by someone scanning networks or opening infected emails containing malicious attachments or links. Hacking collectives are effective at leveraging open source, publicly available information identifying officers, their employers and their families. Officers and public officials should be aware of their online presence and exposure. For example, posting images wearing uniforms displaying name tags or listing their police department on social media sites can increase an officer's risk of being targeted or attacked. Many legitimate online posts are linked directly to personal social media accounts. Law enforcement personnel and public officials need to maintain an enhanced awareness of the content they post and how it may reflect on themselves, their family, their employer or how it could be used against them in court or during online attacks. To read the full alert announcement and how to defend against hacktivism, go to http://www.ic3.gov/media/2015/150421.aspx. A new report describes the results of a National Institute of Justice-sponsored research effort to identify and prioritize criminal justice needs related to digital evidence collection, management, analysis and use. Digital Evidence and the U.S. Criminal Justice System: Identifying Technology and Other Needs to More Effectively Acquire and Utilize Digital Evidence, presents specific needs to improve utilization of digital evidence in criminal justice. 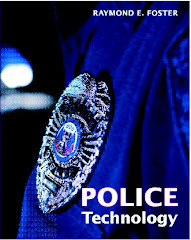 Several top-tier needs emerged from the analysis, including education of prosecutors and judges regarding digital evidence opportunities and challenges; training for patrol officers and investigators to promote better collection and preservation of digital evidence; tools for detectives to triage analysis of digital evidence in the field; development of regional models to make digital evidence analysis capability available to small departments; and training to address concerns about maintaining the currency of training and technology available to digital forensic examiners. To read the report, go to http://www.rand.org/pubs/research_reports/RR890.html. A companion document, Interactive Tool for Ranking Digital Evidence Needs, presents the prioritized needs and allows users to see how their priorities would change when the importance of different digital evidence objectives are changed (http://www.rand.org/pubs/tools/TL175.html). WASHINGTON (AFNS) -- Space is absolutely vital to the American way of life and it is also vital to the protection of the nation, the commander of Air Force Space Command told the Defense Writers’ Group here April 28. Moving forward, the Air Force is looking at the next generation of satellites and ensuring they will be more resilient and have more defensive capabilities built into them, he said. “As we look at our response options we are going to ensure we have real-time command and control capabilities in our command and control centers,” the general said. He also promised to build up the command and control centers, and noted that the fiscal year 2016 budget request asks for funding for this. Hyten said he aims to shake things up in the space world. “We’ve become very comfortable in the status quo,” he said. “(Air Force) Space Command was created in 1982. So it’s the oldest stateside major command in the Air Force. “When we started, none of the stuff we operate existed. We had weather satellites, radars, early warning systems -- that was it. The people in my command have basically developed the capabilities that fundamentally changed warfare forever, and we won’t go back,” Hyten continued. Hyten said he wants people to try new methods and exploit new technologies. He wants people to look at older technologies in new ways and perhaps with new purposes. He mentioned chip scale atomic clocks -– small accurate timepieces that can be used for a number of military applications from preventing improvised explosive device detonation to ensuring uninterrupted communications. As the commander of AFSPC, Hyten also has responsibility for the service’s cyber mission. Cyber protection is part of every decision on space systems, he said. The space programs all had overruns, Hyten said. “We weren’t launching anything. We weren’t delivering anything,” he said. But over the past four years, the space investment budget has gone from $8 billion a year to $6 billion, “and we didn’t cut a thing out. We actually took money out of the budget and kept delivering all the capabilities,” he said. These included such programs as the space-based infrared system and the global positioning system block two satellites, Hyten said. “We actually added the space fence into that portfolio,” he said, adding that the once “out of control” evolved expendable launch vehicle is now under control.